What a week! Plenty of interesting people kicking the bucket and too many stories to add to this weeks issue! Sadly no points to award and with little under three months to go, it does seem to be a two horse race at the moment, but this game is as cruel as the unbelievers portray it to be, albeit for a different reason, one Cert could change everything! Geoffrey Hayes, 76, English television presenter (Rainbow) and actor (Z-Cars), pneumonia. Charles Aznavour, 94, French-Armenian singer (“La Bohème“, “She“), lyricist and actor (Shoot the Piano Player), complications from pulmonary edema. Peggy Sue Gerron, 78, American namesake of songs “Peggy Sue” and “Peggy Sue Got Married“. Geoff Emerick, 72, English recording engineer (Abbey Road Studios, The Beatles), multi-Grammy winner, heart attack. Ray Galton, 88, British scriptwriter (Hancock’s Half Hour, Steptoe and Son), dementia. Scott Wilson, 76, American actor (The Walking Dead, In Cold Blood, The Ninth Configuration), complications from leukemia. 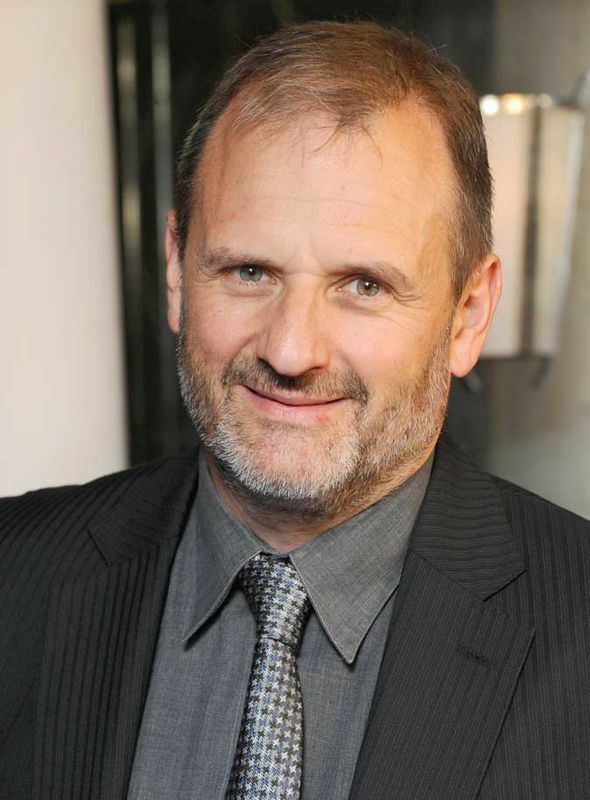 DJ Mark Radcliffe will be taking time off from his BBC Radio 2 and 6 Music shows to have treatment for cancer. The 60-year-old, who began his BBC career in 1983, revealed his diagnosis to listeners while presenting The Folk Show on Wednesday 3rd October. “I’m said to say that I’ve got some cancerous tongue and lymph node issues,” he said, adding that he hoped to be back on air in the New Year, “or sooner, if I feel well enough.” “It’s all been caught very early and so everything should be fine,” he reassured fans. On Twitter he added: “All being well I’ll be back in action in the New Year – or sooner if I feel well enough – but I will be back, you can depend on it, I just can’t say exactly when that will be. So you won’t hear from me for a while now and therefore… well… Merry Christmas I guess. Life eh?” Radcliffe confirmed that he would broadcast his Thursday 6 Music show with Stuart Maconie on 4th October, as usual, before taking a break. Ricky Ross will present the Radio 2 Folk Show for the next few weeks. The German scientist nicknamed Dr Death because of his pioneering work on preserving corpses has asked his wife to plastinate his own body after he himself passes away. 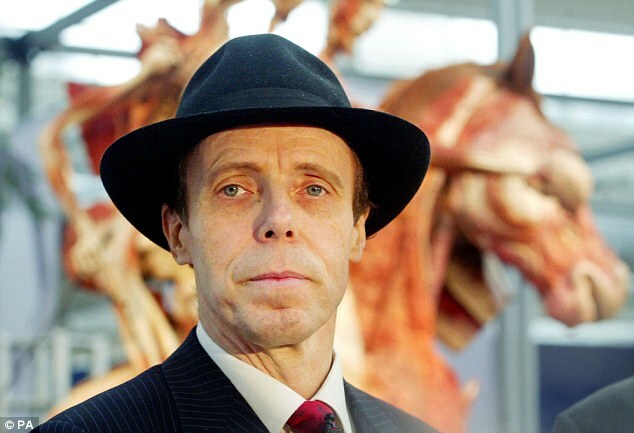 Gunther von Hagens told partner Angelina Whalley he then wants his body to be displayed at the entrance to London’s new Body Worlds Museum Experience – where preserved organs, skulls and corpses are all on show in various poses. The 73-year-old, who is suffering with Parkinson’s disease, is the driving force behind the museum, which opens on Saturday. His decision to be among his exhibits when his own time comes is “a finalising [of] his life’s work”, said Dr Whalley. Plastination involves replacing certain body fats and tissues with silicone so the corpse does not deteriorate or smell. It takes a year to complete. Dr Whalley said her husband’s request had left her “stunned”. “Of course, in the very beginning I thought, Gunther, you are kidding me. This is something I would never be able to do,” but she says she slowly came round to the idea. “He said to me: ‘Angelina, you are entitled to freeze me down to -25C for one year, but after that time you really need to put your hands on me because otherwise I will get freeze burn’,” she said. “So I have one year for mourning and then I will have to do it.” She told the newspaper her husband – who wears a trademark fedora – would like his final pose to be a welcoming one, adding he would like to be wearing his much-loved hat. Dr von Hagens – who has toured his Body Worlds exhibits all across the globe – is perhaps best known in the UK for performing the country’s first public human autopsy for 170 years in 2002. And finally… A hunter is fighting for life after a bear he shot tumbled down a slope and landed on him. Alaska state police said William McCormick, 28, was also struck by a rock dislodged by the bear as it fell on Saturday afternoon. He was flown by helicopter to a hospital in Anchorage, where he was in a critical condition. Mr McCormick and his hunting partner, 19-year-old Zachary Tennyson, are both US army soldiers stationed at Alaska’s Joint Base Elmendorf-Richardson. Mr Tennyson was not hurt and alerted authorities by sending a distress signal. Police did not say what kind of bear was shot, how far how it fell, or whether it died. Alaska is home to several species of bear, including an estimated 30,000 brown bears and 100,000 smaller black bears. 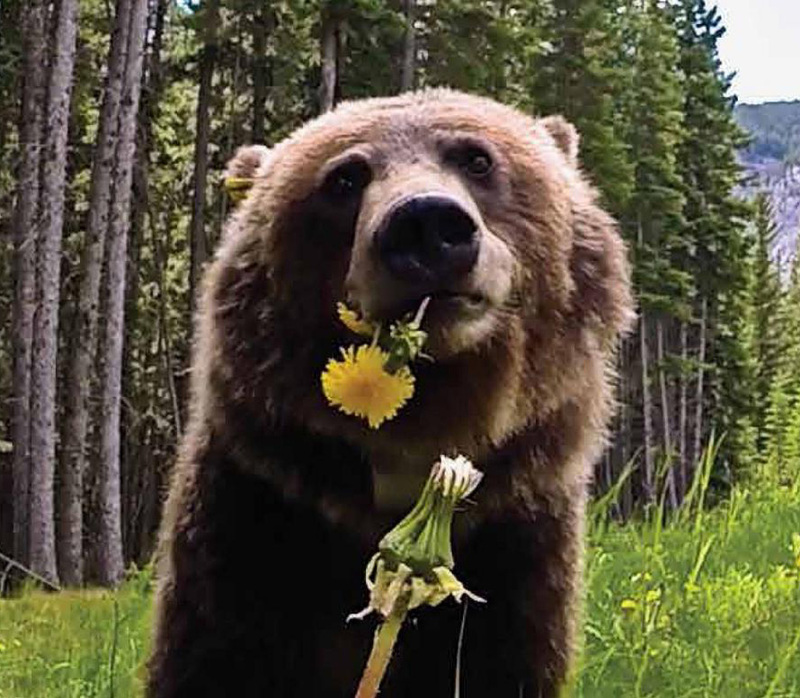 Nearly 1,500 brown bears are hunted each year in the state but at least this one got its own back. 1959 – U.S.S.R. probe Luna 3 transmits the first ever photographs of the far side of the Moon. 1988 – An Iñupiat hunter discovers three gray whales trapped under the ice in Utqiaġvik, Alaska, US; the situation becomes a multinational effort to free the whales. 1996 – Fox News Channel begins broadcasting, the birth of fake news. 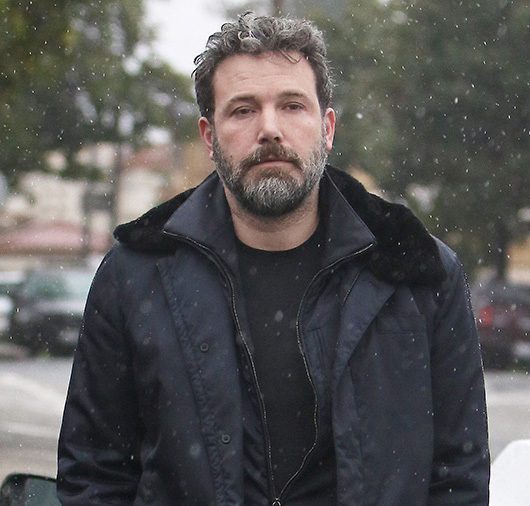 Kate Winslet (43), Guy Pearce (51), Jesse Eisenberg (35), Karen Allen (67), Neil deGrasse Tyson (60), Clive Barker (66), Bob Geldof (67), Dakota Johnson (29), Melissa Benoist (30), Alicia Silverstone (42), Christoph Waltz (62), Susan Sarandon (72), Liev Schreiber (51), Alicia Vikander (30), Seann William Scott (42), Lena Headey (45), Neve Campbell (45), Clive Owen (54), Gwen Stefani (49), Greg Proops (59), Avery Brooks (70), Ian McNeice (68), Sting (67), Brie Larson (29), Julie Andrews (83), Zach Galifianakis (49), Randy Quaid (68), Ioan Gruffudd (45) and Britt Ekland (76). This entry was posted on 7th October 2018 by kingofankh. It was filed under 2018 .